Are you watching Single Parents? ABC just announced they’ve given a full season order to the new TV show. 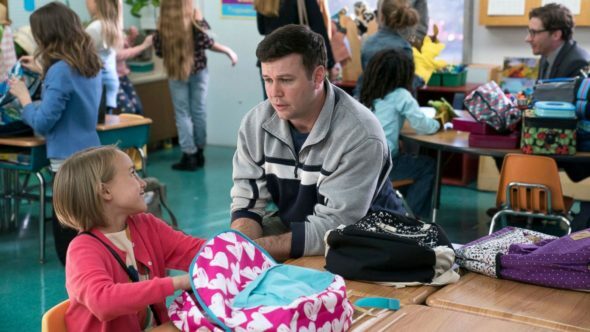 The sitcom centers on Will Cooper (Taran Killam), a single father in his 30s, who is sorely in need of a life apart from raising his daughter, Sophie (Marlow Barkley). The cast also includes Leighton Meester, Kimrie Lewis, Jake Choi, Tyler Wladis, Devin Trey Campbell, Mia Allan, Ella Allan, and Brad Garrett. Single Parents debuted in late September and so far the ABC series is performing decently in the ratings, earning an average of 1.14 in the 18-49 demo and 4.257 million viewers. What do you think? Have you seen Single Parents? Will you continue watching? More about: ABC TV shows: canceled or renewed?, Single Parents, Single Parents: canceled or renewed?